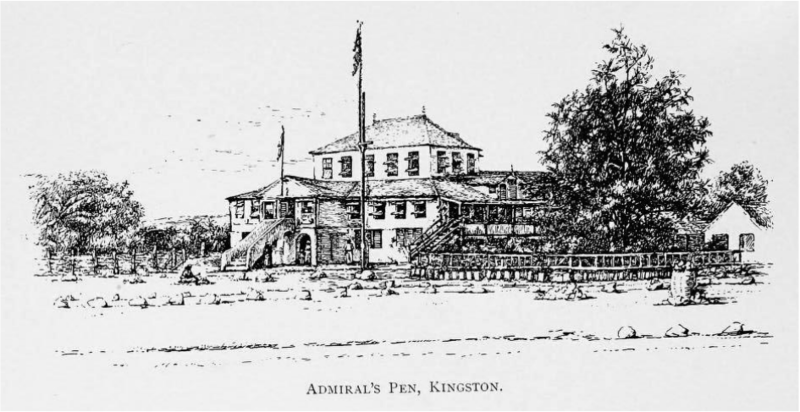 Many of the principal merchants have delightful pens up the Blue Mountains, or in the savannah, which are extensive; and at the foot of them, a little off the road to Spanish Town, and about two miles to the west of Kingston, is a place called Greenwich, where there is a pen called the admiral's pen. The house, erected for the use of the commander in chief of his majesty's ships of war on that station, is very large and commodious, and a handsome object in many points of view. the road from Kingston, near Admiral's Pen, 1823.